As a designer, car outlines play an important role in your work’s success. They don’t only save you a lot of time and energy. They also make sure that you create the best designs possible for every car model. 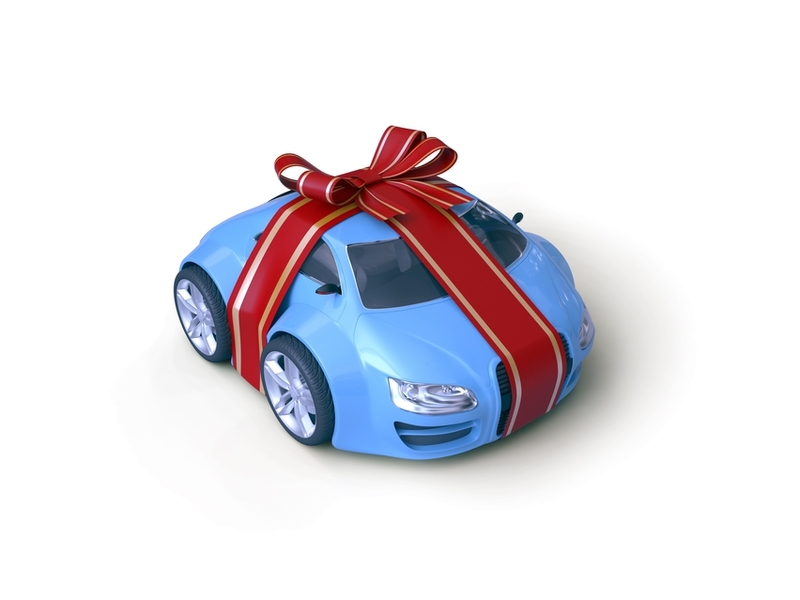 That’s why it is best to find a car template provider that is reasonable and reliable. You will need to hire their services as well as that of a good printing shop to bring your car wrap designs to life. Car outlines make your life as a designer simpler and easier. While it is still recommended that you check out the actual car, you can start on your designs earlier by just asking the model and type of your client’s vehicle. Just make sure that your car template provider has the latest vehicle outlines to avoid unnecessary reworks in the future. There are various vehicle outlines in the market. Car template providers, such as SignSilo, have thousands of car templates in their library. 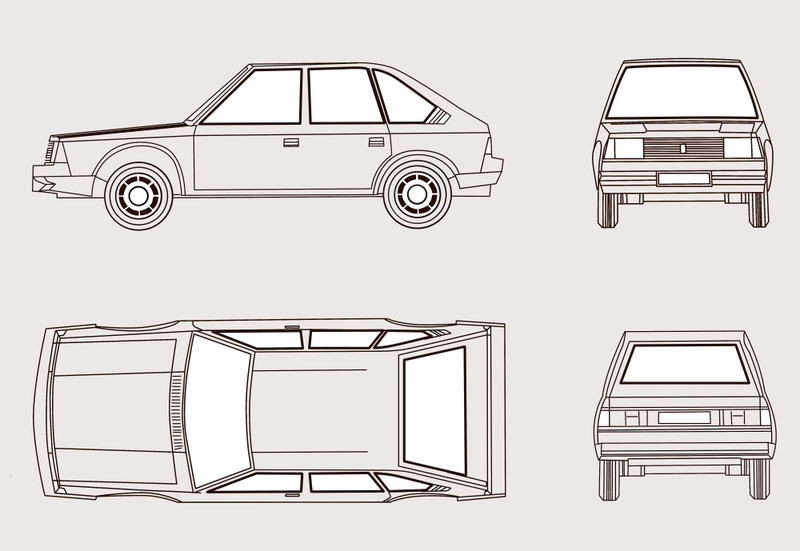 Whatever model or type of vehicle you are working on, you will surely find an outline. Their galleries are usually updated up to the latest 2018 models. Their car templates are precise. Since their libraries are updated even to the latest car models, you can be sure that you are getting precise and accurate measurements of your clients’ cars. Just be sure to ask if there are modifications to adjust your designs. If the surface of the car has been altered, be sure to check kit yourself to make the necessary adjustment. Vehicle outlines are scaled. Car outlines from SignSilo are scaled in 1:20 scale for easy manipulation. You don’t have to make extra effort to bring your designs to life. Car templates are editable. Vehicle templates come in various formats. SignSilo’s outlines are available in CDR, AI, DXF and EPS formats. They are fully editable with most vector and image manipulation tools. Car templates are ready to download and use. The best thing about vehicle outlines is that they save you a lot of time and effort from take the exact measurements yourself. They are ready to download and use anytime. All you have to do is open your editing app of choice and start working on your design. They are cheap. Vehicle wrap templates do not cost much. Templates from SignSilo, for instance, can be bought for as low as $0.32 each. You can purchase them with a monthly or annual subscription, with the latter giving you the biggest discounts. These are some of the reasons why car templates are a great aid to car wrap designers. They make the design process easier, which makes them a must-have for any design company and graphic designers. You can take your car wrap designs from your mind to your clients’ vehicles much faster and easier. Plus, you can show them your designs before printing them first – saving you a lot of time and energy from reworks. Vehicle wraps have been growing in popularity for the past decade. Many car enthusiasts and business owners use them to attract attention and increase their marketing reach. As a result, many print shops are trying to offer car wraps to their customers. However, these marketing tools are not like business cards or flyers. They require more than just the printing press to do the work. Specific knowledge, skill and experience are required to create cool car wraps. Car wrap design. As a designer, you must have extensive experience and the right tools to create a vehicle wrap graphics. The best vehicle templates and software can help you make a design that will fit a specific vehicle properly. You must take every angle, space and curve of the vehicle to creative better results. Keep in mind that unlike a business card, a car is not flat. Images and texts can get distorted if you ignore these elements. Vinyl graphics for cars is commonly used in wraps. Top brands have been around for years and offer high quality materials. You can have the best design but without high quality materials, the car wrap will not last. Let’s say you have created the perfect design and chosen the best material. Now is the time to print it on vinyl. There are specific codes that tell the printer how much ink to lay for the best results. Find a printer that do not use one profile for all media. Or else, your design won’t look right. This is the most time-consuming part of the process. The installer will go over every inch of the car’s surface to make sure they are 100% clean and wax free. Remember that the smallest dirt could cause the adhesive to fall and lift off the surface. Since this takes time, nothing should be overlooked. As a designer, you may work at home or at your office. But, the car wrap facility is where the actual installation take place. It should be indoors and dust-free. It should also have the right temperature. High temperatures can cause the wrap to overstretch and fall, while low temperatures will cause the vinyl to shrink and fall when exposed to high temperatures. Last but not the least, the installation process should be seamless. The perfect car wrap design and superb print quality will all go to waste if the installer does not get this right. It takes patience, a steady hand and technique to wrap a car like a paint job. As you can see, your design of the vehicle vinyl wrap is on top of the process. Without a good design, everything will not fall into place. No material will be chosen, no design to be printed and no installation to take place. That’s why the work of the designer is the most important. Communicate with your clients about what they want and what they don’t like. When you get their approval, only then you can proceed with the other steps. Are Vinyl Car Wraps Right for Your Company? Based on a survey conducted by the Outdoor Advertising Association of America (OAAA), over ninety-five percent of people are reached by media that targets passengers and drivers. That’s why vinyl car wraps are a great way to promote to the average person. However, is it right for your company? First, let us define what a car wrap is. A car wrap is a mobile billboard, installed by a professional on your vehicle with the car wrap design templates of your choice. It is often printed in color with eye-catching graphics. Made from super tough vinyl, it could last between 5 to 7 years. You can put it onto your entire vehicle or just a part of it. How much does a vehicle wrap cost? They usually cost between $1500 and $3000, depending on how much you are trying to cover and the type of your car. The total cost includes the wrapping material as well as the professional installation. Compared to a high quality paint job, vinyl wraps only cost a fraction of a cost. The former is priced between $3000 and $10000, while the latter is at $1500 to $3000 only. Depending on the material used, the wraps can last 4-10 years. Resale Value. Vinyl wraps maintain the original paint, thus keeping the resale value intact. Keep in mind that your preferred color may not be the same with your potential buyer’s favorite hue. Installation Time. Choosing paint over wraps makes you without transportation for at least two weeks. With car graphics, your company vehicle will be fully transformed within three to five days. Every inch covered by vinyl protects your company car from all natural hazards, such as weather, sun exposure, rocks and dirt. Vinyl is very thick and durable. It can act as a shield. Long Lasting and Safe to Remove. Vinyl is long lasting and can be removed safely. To maximize the life of the wraps to the fullest extent, keep it in the garage if not in use. Then, it can be removed safely without affecting the original paint. Easy to Maintain. Vehicle wraps are easy to maintain. All you need to do is hand wash your vehicle with soap and water, and it will look brand new again. Why are vehicle wraps better than other forms of advertising? Aside from the fact that they are effective, they are also economical. They can reach more people than any other type of advertising. Take for instance outdoor signs. They cost about $4 per a thousand impressions. On the other hand, vinyl wraps are only priced at 4 cents per one thousand. Plus, one wrapped vehicle can make between 30,000 and 80,000 impressions per day, depending on how far it can go. So, are these wraps right for your company? Vehicle wraps can be used for any type of business, whether it is large or small. Some business owners believe that vehicle advertising legitimize their brand and gets it out where customers can see it. 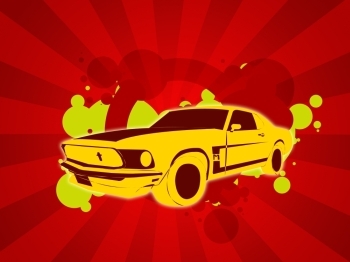 Have you chosen the right vinyl vehicle wrap for your favorite ride? If you have, then you probably want to keep it as new as possible. Vinyl wraps play an important role in making your car stand out from the rest of the cars on the road and keeping its resale value. To get the most out of your investment, follow these dos and don’ts on keeping your vinyl wrap brand new. Hand wash your vinyl wraps with a mild detergent and clean water. Avoid pressure washing your vehicle to keep the wrap from lifting around the edges and degrading the face film. Once that happens, losing luster, fading and cracking of the graphics are inevitable. Test your cleaning solution before applying. 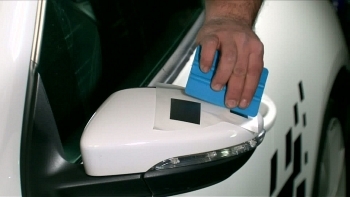 Apply your chosen cleaning solution on a small portion of your vinyl graphic before using. Even products designed to wash vehicles can have a damaging effect. Use products that are easy on the vinyl and the environment. Always read the warning labels. For proper safety instructions, always read the labels. Keep in mind that each and every product has its own pros and cons. By being informed, you can avoid any damaging effects on your graphics. Wash your car from the top down. This allows dirt and other contaminants to run off the vinyl. A standard garden hose and nozzle, mild soap, microfiber sponges or cloths are all you need to wash down your vehicle. Let the vehicle air dry. If time allows, let your vehicle air dry. Otherwise, use a microfiber cloth to be sure your car is clean. Also, make sure you don’t lift the edges or scratch the graphics. Don’t let corrosive substances to stay in contact with vinyl. Be sure to clean all spills as soon as possible. If traditional cleaning procedures do not work, try spot cleaning with a microfiber towel soaked with isopropyl alcohol or a citrus-based solution. Don’t use mechanical brush. Brushes can cause your vinyl graphics to chip or peel. They can also cause fading and dulling over the laminate. As much as possible, avoid pressure cleaning unless all other methods are exhausted. Don’t leave it dirty for extended periods of time. Wash your vehicle regularly. Make sure that bird droppings, fuel spills and other difficult stains do not stay on your wrap for a long time. They only makes it more difficult to clean the wraps. Don’t use any type of wax. Whether its polish, matte or carbon fiber, do not use it over your vinyl graphics. 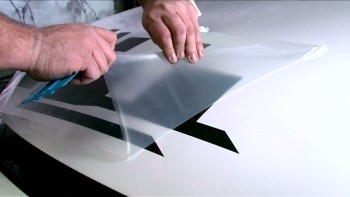 For added protection opt for silicone or Teflon-based coating as they are specifically designed for vinyl car graphics. 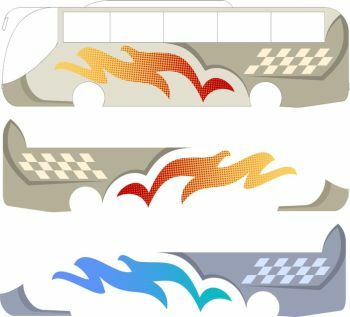 Following these guidelines will help extend the life of your vinyl car wraps. However just like with other signs and cars, they will eventually wear out. The benefit of wrapping your car is that it protects the original paint and makes a re-workable surface to replace the wrap. To make sure that all of these are possible, you need to know the proper practices of keeping your car wraps brand new. Vehicle wraps are a long-term investment. They can be expensive, but they typically last three to five years. The average investment falls between $1,500 and $3,000, including vehicle graphics and installation. Small and large businesses alike can benefit from these economical and effective marketing tools. Studies show that a car wrap puts small businesses in the same playing field as franchises and businesses with vehicle fleets. The design is the most important part of your car wrap. That’s why it needs to be attractive, to the point, and easy to read. When choosing a vehicle graphics provider, check out their design portfolio and take note of the quality of their previous designs. Try to see how they get their message across. If it takes more than five seconds for you to understand their design, it will not be suitable for a car wrap. Vehicle wraps should be created using high-grade and pressure sensitive vinyl. They should be sturdy and durable, so they can last longer and give you the best return for your investment. Ask your vehicle graphics provider if they are using the best ink, print, film and protection for your wrap. Keep in mind that quality materials and services will make your vehicle wraps last. 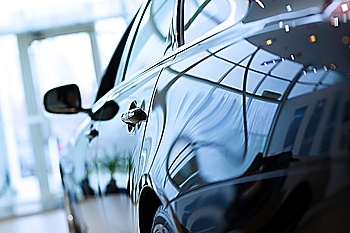 Have you chosen the best vehicle graphics and materials for your car? If you have, then it’s time to check out the installation. Find a provider who has keen attention to details. Choose one with skilled and experienced workers to ensure effective installation. A good installer carefully inspects the surface of the vehicle and makes proper preparations to identify any problems that may rise ahead. A vehicle wrap warranty can bring you peace of mind and optimum performance for the rest of your vehicle graphics’ life. Choose a provider that offers creatively-designed graphics as well as state-of-the-art services to meet any design challenge. Personalize your vehicle with company information or any image you choose. Make your dream car stand out from the rest and protect it against dusts, scratches and harsh weather conditions with a vehicle wrap. Due to the advancement in printing technology, some inexperienced people have set up shops. Thus, it is always a good idea to check the credentials and workmanship of your car wrap provider. Keep in mind that wraps should not damage your car’s paint job. To avoid images from bleeding onto the paint and scratching it, invest in your design and hire an experienced company to produce and install the wrap. More importantly, ask for warranty in writing. Help ensure your work is of highest quality and that you are ahead of your rivals by investing on high quality vehicle graphics design. Plan and prepare for quality with the right provider.